This 2015 annual page supplement for the HE Harris Liberty III Album includes up to December 31, 2015. This 2017 annual page supplement for the HE Harris Liberty I Album includes commemorative and regular issues released up to November 31, 2017. This 2013 annual page supplement includes Canadian commemoratives and regular issues released up to December 31, 2013. 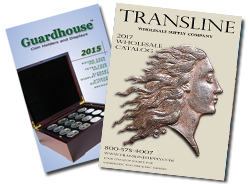 The 2013 annual page supplement includes commemorative and regular issues released up to December 31, 2013. Fits HE Harris 2-post and 3-ring binders. Contains issues of U.S. related areas: Marshall Islands, Micronesia, Palau, and the United Nations, including issue for New York, Geneva and Vienna. This 2013 annual page supplement includes U.S. Issues and many other worldwide countries. Thie 2012 annual page supplement for the H.E Harris PLate Block Album includes all commemorative and regular issues released up to December 31, 2012. Fits both 2-Post and 3 Ring Binder. The 2013 annual page supplement includes all commemorative and regular issues released up to December 31, 2013. Perfect for the young beginner with 64 pages. Illustrated for almost every stamp a new collector might acquire. Also contains tips for getting started. Hundreds of stamp illustrations in 64 softbound pages. Includes most stamp-issuing countries plus instructions for getting started. A great way to introduce a young person to the stamp hobby. An expandable, loose-leaf version of the Freedom III Album, with pages printed on both sides. Fully illustrated with extensive stamp history. Colorful screw post binder. This intermediate worldwide album provides spaces for thousands of stamps that beginning collectors are most likely to own or acquire. Headings feature the philatelic history of each stamp-issuing country. Brightly colored 2-post binder. Over 300 (150 sheets) printed on both sides. The Statesman Album has been expanded and now divided in 2 volumes. Each volume has more than 16,000 illustrations and has space for more than 18,000 stamps each. Volume I & II compbined capacity now exceeds 37,000 stamps! Contains extensive geographical, historical and demographic data for each country, plus a Vanished Lands section. Country issuance varies. Volume I includeds countries Abu Dhabi to Luxembourg. 323 pages. The Statesman Album has been expanded and now divided in 2 volumes. Each volume has more than 16,000 illustrations and has space for more than 18,000 stamps each. Volume I & II compbined capacity now exceeds 37,000 stamps! Contains extensive geographical, historical and demographic data for each country, plus a Vanished Lands section. Country issuance varies. Volume II includeds countries Macao to Zimbabwe. 320 pages. Illustrated for virtually every U.S. Stamp, plus Confederate and Hunting Permit Issues. Includes extensive stamp history. Part A covers 1847-1994.